I made the biggest bone head move while making dinner a few nights ago. I was already late cooking dinner so I was trying to get dinner done as soon as possible. I suppose that was mistake number one. Here is where mistake number two comes in. I peeled 5lbs. of potatoes and put all the peels in the sink, ran water, and turned on the garbage disposal… BIG mistake! I had my laptop sitting on the kitchen cabinet so I went in search of a fix for this problem. I have used Draino more times that I care to share, but it NEVER works I mean never! I hate spending all of that money for something that doesn’t work and stinks up the kitchen. Plus you have to let it sit forever and I am sure it’s terrible for the environment. 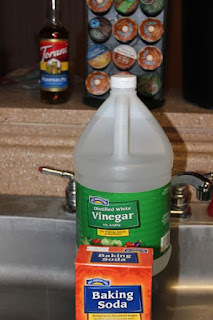 I can across an article that mentioned using baking soda and vinegar to unclog a clogged sink. At this point I was willing to try just about anything although I KNEW it wouldn’t work. The instructions were pretty simple. Add vinegar to the clogged hole and watch it bubble up (OK the bubble up is kind of cool) Make sure all the baking soda has gone down the hole. Then walk away and (My instructions here) take a deep breath. Maybe scream into a pillow, or have a drink whatever you need to do. 5-10 minutes later I went to check out what I hoped would be the miracle I needed. I certainly needed one at that moment. Both sides of my sink were full (almost to the top) with water. Wow where did all of this extra water come from? Remember I drained the sink first? I held my breath and turned on the garbage disposal. Suddenly everything went down. It was a miracle!! In 10 minutes I saved over $100.00 and a ton of time. I didn’t need a repairman … heck I didn’t even need my husband for this one, but was sure proud of my accomplishment! I was pretty proud of myself too. I had exactly 1 cup of vinegar and 1 cup of baking soda left to use for this miracle. 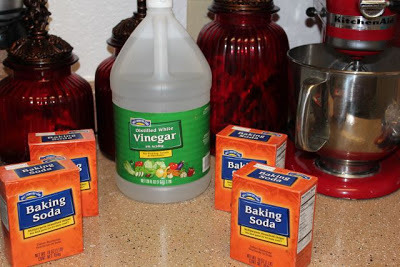 Right after dinner that night I ran to the grocery store to stock up on baking soda and vinegar. I think we are set for awhile. I looked at so many articles I don't even know who to thank. Whoever you are out there thank you for saving me a ton of time and money!! It worked for me! 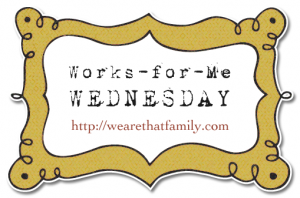 I hope it works for you too! !